The Harvard Business Review called it the sexiest job of the 21st century: Data scientist. Those in banking probably know them better as analysts or modelers. Whatever name you choose, these people know how to turn the Big Data now coursing through our economy into insights that drive business success. Analytics are nothing new to bankers. Predictive models are used in everything from credit risk assessment to fraud management to trading. 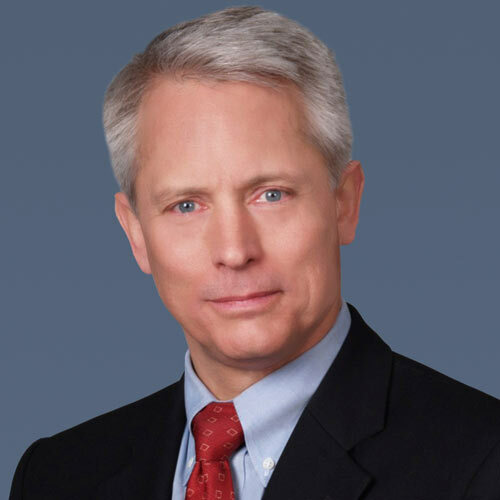 The analytic software market has gone from $11 billion in 2000 to $35 billion in 2012. The reason is simple: Analytics can tell you what your customers will do next, and how you can influence that behavior. Customers now expect Amazon-style personalized service from every business. Analytics can be, if you pardon the pun, a formula for success with today’s choosier, better informed customers. But there’s a catch. Most businesses — even those that are experienced at using analytics — struggle to turn data into better decisions. In a white paper released earlier this year, the industry analyst group Forrester Research found that more than half the enterprises it surveyed take at least three months to change their operational procedures to incorporate new analytics-derived customer insights. Three months is too long in today’s world. Why the lag? There are a number of obstacles to using predictive analytics (Figure 1). Mobile Devices and Social Media: Customers are using their mobiles, tablets and other devices to produce a new tide of data. This has transformed how businesses and customers interact, as well as providing new avenues to drive loyalty and consumer-driven advertising. Big Data: Social media is just one piece of so-called Big Data, which also includes sensor data, web data, search data, and financial transactions. We now have New technology platforms such as Hadoop have emerged to derive business value from all this data. Cloud: Cloud computing represents a sea change in the way services are purchased, delivered, accessed and used. For those using it, cloud computing provides millions of dollars in computing horsepower (along with storage and networking) as a utility — delivered for pennies on the dollar based on consumption. It also enables you to connect a community of experts to drive your performance higher. 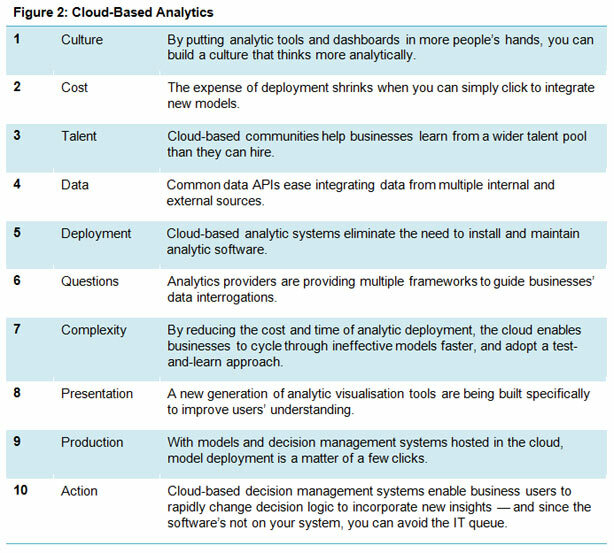 The first two components have a clear relationship to analytics — I would argue that the cloud is equally important. Technology providers are moving advanced analytics infrastructures to the cloud, giving businesses multiple layers of value. First, businesses can “build in the cloud” using modeling tools and decision management services. Second, businesses can access analytic services pre-developed for specific business problems, or tailor analytic services to their business rapidly. Third, an advanced cloud can put businesses in touch with a community of analytic experts — think of the SalesForce cloud for a good community example. Fourth, some clouds create an “analytics marketplace” — an app exchange or app store for analytics developed by third parties. 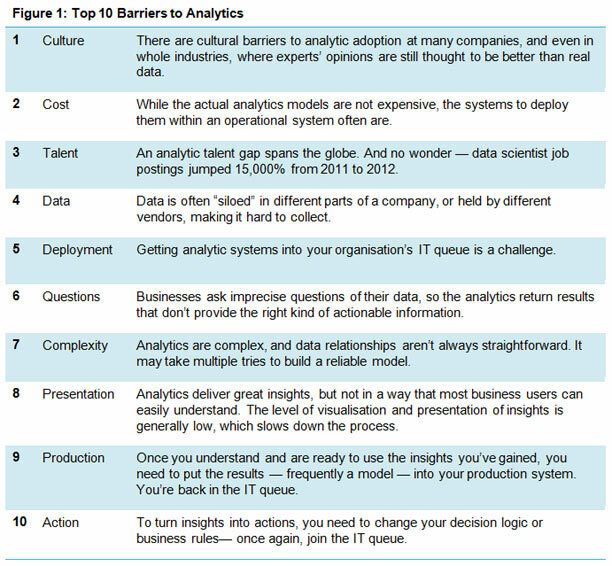 The cloud is instrumental to breaking down the barriers to analytic success (Figure 2). Analytics are certainly raising the stakes for banks and other businesses, and ushering in a new era of “customer intimacy.” In order to take full advantage of analytic insights, the smartest competitors will look to the clouds.